It is gone now. But I still remember that feeling of endless pressure. The weight simultaneously pushing and tugging us down. Insistent. Unyielding. Relentless, in its effort to sink us in a sea of our own tears. I hope Evie has forgotten. With the simultaneous message that we could “fix her” with therapy. But that we needed at act quickly. We needed to intervene before the developmental window slammed closed. And of course, this message was not delivered in those words. It was delivered gently by kind people with the very best of intentions. And maybe that wasn’t even the message they wanted to deliver but that was what I heard. So the early intervention started. Really early. I remember spending countless hours obsessing over Evie not being interested in stacking blocks or scribbling on paper. I believed that if she didn’t do these things, that she would never do anything that “comes after” on the developmental timeline. I remember stressing out that Evie wasn’t interested in toys. Because that is what babies are supposed to do–be interested in toys. I remember spending a small fortune trying to find that toy that would break through the divide and engage Evie. I remember the longest questionnaires aimed at assessing Evie’s developmental age. But serving as a reminder that Evie was broken, that I was not doing enough, and that we were inching ever closer to that moment in time that the developmental window would go slamming shut forever. I remember all of the therapy sessions. The hours and hours of therapy. And the therapy “homework.” And the guilt no matter what I did. Guilt when Evie would cry and protest. Guilt when I wouldn’t push her to do her homework. I remember making comments about wanting to ease up on therapy. Wanting to give Evie more time to be a baby/toddler/kid. And I remember the gentle reminders about the developmental window. And the threat of regression if we eased up. Evie didn’t start crawling until she was about 18 months old. As I mentioned before, Evie didn’t do toys. But she did do books. She loved books. We spent hours and hours reading books together. 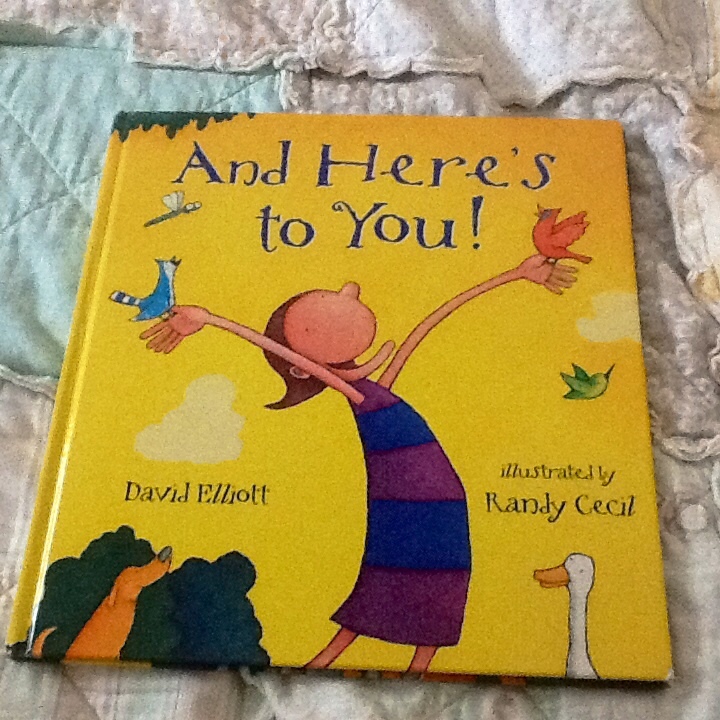 One of the books that I bought when she was a tiny newborn, “And Here’s to You!” was her favorite. As soon as she could communicate her choice, that was it. And we read that book over and over again every day, along with a few other favorites. Was this need to read this book repeatedly one of the first signs of Autism? Probably. But it was also much more than that. The total and complete you. These were the words that Evie needed to hear. The words that I needed to repeat and repeat and repeat. Not to make them true. But to keep them true. It might not have been the words. It might have been her picking up on the feelings of deep and unconditional love that they evoked in me. Those were part of what kept us floating. And safe from the words that threatened our buoyancy. Words that conjured feelings of brokeness. Those were the words that probably planted the first seeds of rebellion. Rebellion against the system that insisted that Evie be fixed. Insisted that she needed to develop according to that specific timeline or not at all. Rebellion against the notion that we needed to treat, intervene, and fix. Rebellion against the message that she is–that we both are broken. Rebellion against compliance. Hers and mine. I’m so thankful for that simple beautiful book. For being an anchor. To Evie for gravitating towards it. Because sometimes we used to sink. 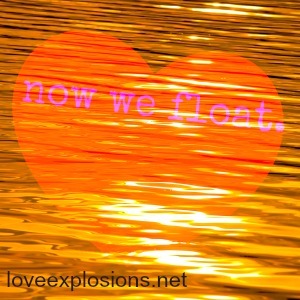 Now we float. This entry was posted in Uncategorized by loveexplosions. Bookmark the permalink. Wow, thank you for sharing. The pressure seems to be universal once your kid is diagnosed. You are pressured to cram so much in and you eventually learn to love them for who they are. It is an important step in the growing process.